Click on each of our committee members' names to find out more. Elizabeth Meyer is the founder and lead organizer of the Women's March on New Jersey, held in Trenton in January. She continues in the lead organizing role for the NJ March for Science also in Trenton. Elizabeth has been a speaker at multiple events, including the "Because Women Can" series hosted by Congresswoman Bonnie Watson Coleman, as panelist at Union Township's "After the March" Women's History Month event, and as a keynote speaker at the Women's Political Caucus of New Jersey's "Inspiring Women to Lead" initiative. Most recently, Elizabeth was appointed as a delegate to the Somerset County Democratic Convention. She is a New Jersey native who grew up in Wayne and now lives in Central New Jersey with her husband and two young daughters. She graduated from William Paterson University with a B.A. in Communication, a minor in political science, and a New Jersey teaching certificate. She worked for four years in the radio industry in the New York and New Jersey markets as a producer, news anchor and reporter, and on-air personality. Elizabeth has twelve years experience as a middle school educator in both urban and suburban districts, teaching history, reading, writing, photography, theater, and character education. Ms. Azra Baig is a Community Activist. She was a member of the Steering Committee of the historic Women's March On NJ where she lead the People's Pledge to Stand Up for Democracy and Justice. Ms. Baig received her Bachelors of Science in Nursing (BSN) Degree from Case Western Reserve University in Cleveland, OH and is a Registered Nurse who works in the Princeton and North Brunswick Public School Systems. She is a member of the South Brunswick School District Board of Education and works as a Commissioner for several South Brunswick Township Commissions including the Women's Commission, Municipal Alliance Commission, Human Relations Commission and the Volunteer Nurse Corp. She is a former Board of Overseer at the Islamic Society of Central Jersey and has been a panelist for the Center for American Women and Politics, encouraging the participation of women in politics, government and leadership roles. In addition, she is a member of several civic and political organizations which include the South Asian Community Outreach, American Muslims for Democracy, New Jersey Muslim Voter Project, and the New Jersey Democratic State Committee South Asian American Caucus, where she serves as Middlesex County Director. She was awarded a Community Service Award this year by the American Muslim Council for her dedication and commitment to the community. In her spare time, Ms. Baig is a freelance reporter for a local news outlet, enjoys physical fitness, and is a Marathoner. She is married and has two daughters. Dr. Yucan Chiu is the son of Chinese immigrants who came to the US after the lifting of the Chinese Exclusion Act in the 1960s. His father came to do his PhD in neuroscience; Dr. Chiu was born while he was doing his post-doc at the University of Chicago. While Dr. Chiu has a biology degree from the University of California, San Diego (and one publication as an undergrad), his path has gone a very different direction since then, with post-graduate studies in theology and missiology. He now leads a network that starts multiethnic faith communities in urban areas next to major global universities, and is a chaplain at Rutgers to graduate students and faculty. Dr. Chiu sees no contradiction between faith and science (philosophical presuppositions aside), and has worked with many stellar scientists who are people of faith. Dr. Chiu is excited to work together for the goals of the NJ March for Science. Rev. Dr. Linda Lillian Kroouze DuBreuil is the Pastor of Faith United Church of Christ in Union, New Jersey. She is graduate of Rutgers University and New Brunswick Theological Seminary. Dr. DuBreuil has also had careers in theater, business, and education.The central theme of her life has been one of service and dedication to social justice issues. She is a frequent speaker at interfaith events and public forums as a community activist and advocate. A native of Bristol PA, Dr. DuBreuil has lived and worked in Union Township for over 12 years. On March 8, 2017, she will be honored as the township's Woman of the Year. Dr. DuBreuill is delighted to be a part of the NJ March for Science steering committee and is dedicated to continuing to teach and preach the importance of community and justice. 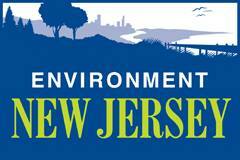 Environment New Jersey is a citizen-based environmental advocacy project of Environment America. They believe there’s something special about New Jersey — something worth protecting and preserving for future generations. Whether it's relaxing at Cape May, birdwatching at the Great Swamp, or hiking through our northern Highlands, New Jersey's natural wonders enrich our lives in countless ways. Yet the places we love and the environmental values so many of us share are too often threatened by powerful industries, shortsighted politicians and more. Defending our environment requires independent research, tough-minded advocacy and spirited grassroots action. Funded by supporters, Environment NJ researches the challenges confronting our environment and educates the public about what’s at stake. Through research reports, news conferences, interviews with reporters, op-ed pieces, letters to the editor and more, they raise awareness of environmental issues and promote sensible solutions. When decisions are being made about our environment, our elected officials hear plenty from the oil companies, developers and other powerful interests. Environment NJ makes the case for our environment and help people make your voice heard, through petitions, emails, letters, phone calls and more, all delivered to the right people just when it matters most. Doug O'Malley, Executive Director, represents the organization on our committee. Sophia Gershman, PhD., is a Physicist at the Princeton Plasma Physics Laboratory where she conducts her research in medium and atmospheric pressure plasmas. Her areas of interest include plasma processes (discharge phenomena and instabilities), plasma diagnostics (electrical diagnostics, fast imaging, and emission spectroscopy), and plasma applications for the treatment of solid surfaces, liquids, and for environmental applications. She is a science educator and her past experience includes working on the Framework for the New Generation Science Standards as a member of the Physical Science Design Team with the Board on Science Education, National Academies of Sciences, participating in a bilateral US-China Department of Education exchange on Science Education, and developing research programs for high school students. She currently teaches Physics and Issues in Science at the New Brunswick High School where she also continues to write curricula aligned with the New Generation Science Standards and participates in the development of new STEM programs. Sophia Gershman is a mother of an adult son with mental disabilities, an active promoter of the rights of all vulnerable populations, a Jew, and a refugee from the Soviet Union who is acutely aware of the challenges facing our democracy. The New Jersey Education Association is a diverse, democratic organization working to create an optimal environment to achieve excellence in public education in New Jersey. The mission of the New Jersey Education Association is to advance and protect the rights, benefits, and interests of members, and promote a quality system of public education for all students. The NJEA strives to preserve and improve the economic interests, working conditions, job security, and pensions of all members and to strengthen the Association by maximizing membership, developing leadership, and supporting affiliates. The NJEA is committed to promoting and delivering quality professional development for educators. It advances and supports policies that enhance and enrich public education. Marybeth Beichert, Associate Director Government Relations, represents the NJEA on our committee. For more information about the NJEA, please visit them at https://www.njea.org/. New Jersey Chapter Sierra Club - The Sierra Club is a national, member-supported environmental organization, which seeks to influence public policy in both Washington and the state capitals through public education and grassroots political action. Their members and professional staff engage in (1) Lobbying - for and against legislation at federal, state and local levels; (2) Outings for the appreciation of wilderness - locally, nationally and internationally, on foot, by canoe, on skis, by bicycle, etc., (3) Campaign support for legislative candidates pledged to defend our interests, (4) Social interaction at monthly, local Group meetings, and (5) Lawsuits, where necessary. With about 20,000 members, the New Jersey Chapter is the 10th largest of the 65 chapters in the USA, Canada and Mexico. They have full-time professional staff in their Trenton office, and many Local Groups, which hold monthly meetings in various locations throughout the State. 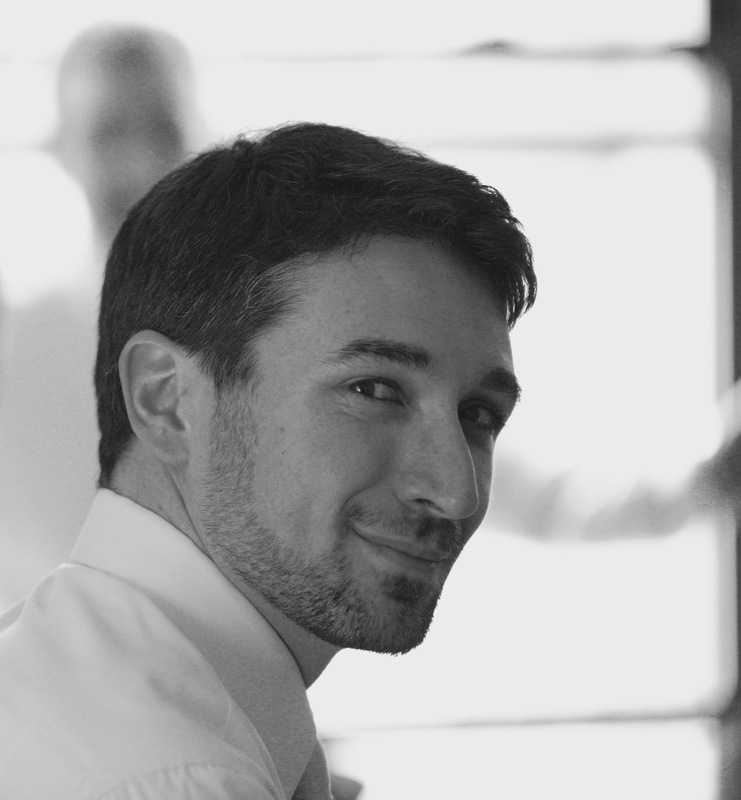 Jeff Tittel, Executive Director, represents the New Jersey Chapter Sierra Club, on our committee. For more information, please visit them at http://www.sierraclub.org/new-jersey. Chip O'Brien is a biracial gay transman, a high school English teacher, and an organizer with the Jersey Justice Action Network, a progressive activist group in Bergen County, NJ. JJAN's mission is to catalyze action that supports democracy and social justice and confronts racism, sexism, xenophobia, and inequality in all its forms. You can find them at jerseyjusticeaction.org. The Rutgers AAUP-AFT union represents more than 7,00 instructors, researchers, librarians, and financial aid counselors at the Newark, New Brunswick, and Camden campus of Rutgers University. They uphold, promote and defend values essential to the protection of quality public higher education. Those values include academic freedom, tenure, shared governance, due process, access to education, research funding and diversity. At the same time, the organization aims to enhance the quality of work life by negotiating terms and conditions of employment for those employees they represent. The Rutgers AAUP-AFT is represented on the NJ March for Science’s steering committee by David M. Hughes, President of Rutgers AAUP-AFT, and a professor of anthropology, as well as Patrick Nowlan, Rutgers AAUP-AFT's Executive Director. Dr. Andrew Zwicker is an Assemblyman representing New Jersey's 16th Legislative District. Andrew is a lifelong New Jersey resident, a physicist, and the Head of Science Education at the Princeton University Plasma Physics Laboratory. In his role at the Lab, where researchers are developing an advanced form of energy, he has worked with hundreds of teachers and students, inspiring professionals and the next generation in the promise of technology. The American Association of Physics Teachers named him as one of the country’s top 75 “Leading Contributors” to physics education. Andrew also is well experienced in business operations, having managed a $1 million annual budget and a diverse staff over many years. Recently, teaming with tech sector leaders, he helped spearhead a novel public-private partnership focused on developing green energy. Andrew is also an academic advisor at Princeton University, an academic-athletic fellow for the women's soccer team, a part-time lecturer in the Princeton University Writing Program, and the President of the Princeton Chapter of Sigma Xi, The Scientific Research Society. Additionally, he is the Editor for the newsletter, Physics and Society, a publication from the American Physical Society where he is also a Fellow. Andrew is also on the Board of Directors of the Research and Development Council of NJ. The New Jersey March for Science is committed to diversifying its team of organizers to reflect various fields of science as well as areas of our community directly impacted by those fields. It is with that in mind that Matthew and Elizabeth have reached out to a myriad of diverse organizations and individuals to assist with the planning of this event.